Some makeup removers contain chemicals which don’t sit well with all skin types – products containing alcohol, especially, can be drying and irritating, especially if the residue isn’t properly washed off. Cleansers which require us to harshly scrub our face to get the makeup off, especially around sensitive areas like the eyes and the corners of our lips, can actually increase the chances of wrinkles and aging skin. Thankfully, many of these problems can be averted by simply picking the right makeup remover. Let’s take a look at our picks for the products with the best anti-aging benefits. A luxurious, gentle cleanser that all but melts your makeup off without any excessive scrubbing, this makeup remover is infused with the anti-oxidizing goodness of rose-hip oil, which combats free radicals, protects your skin from UV rays, and works over time to fade out blemishes and fine lines. Add to this the Vitamin C in the formula, a highly lauded brightening and whitening agent which, when combined with antioxidants like rose-hip oil, can greatly improve the skin’s suppleness and resilience, and this cleanser can breathe new life into your skin. The formula also contains pure aloe vera, an extremely hydrating natural moisturizer, to ensure your skin isn’t stripped of its natural moisture when you wash it off. This makes it perfectly ideal for use on all skin types, since it regulates the level of natural oils and moisture in your skin while infusing it with a good dose of natural ingredients to leave you looking noticeably more youthful. Packing a wealth of incredibly hydrating and nourishing ingredients, this cleanser is not only proven to have anti-aging benefits but also provides a completely thorough cleanse, sweeping your makeup off without irritating your skin. Vitamin C and green tea are both powerful antioxidants, fighting off the free radicals which amp up the skin’s aging process, while also hydrating and repairing skin cells, improving the skin’s firmness and filling out fine lines and wrinkles. They are also attributed with fading out discoloration and scars, and brightening the skin from within. The formula also contains aloe vera and coconut water, both thoroughly refreshing, hydrating ingredients which moisturize and heal the skin to leave you looking fresher and more youthful. The potent team-up of these ingredients culminates in a deep-cleansing makeup remover which penetrates deep into your pores to remove any impurities causing black- or whiteheads and speeding up the skin’s aging. Packed with naturally hydrating ingredients, it’s suited to all skin types as it does not excessively dry out or deplete the skin. Promising to be softer than any face towel, moist towelette or makeup wipe, so you don’t have to worry about putting too much stress on sensitive skin as you scrub off your makeup, this face cloth is all but a revolutionary item to add to your makeup bag. 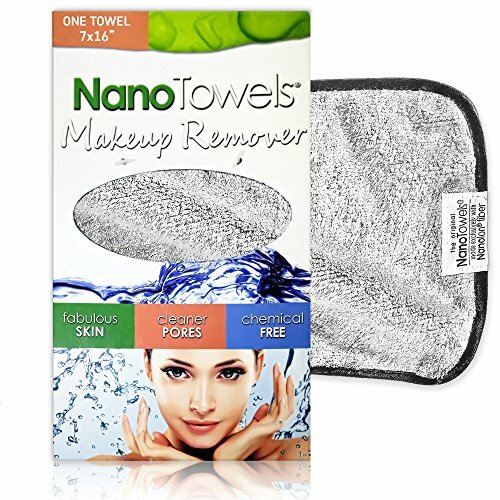 Designed with the patented Nanolon Fiber, all you need to do is wash your face with water and swipe the fabric over your face to gently cleanse off any makeup, removing any impurities clogging up your pores and exfoliating dead skin cells to leave you with a brighter, youthful appearance. 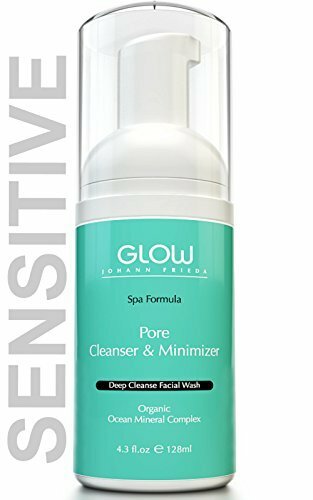 While you can choose to use this with a cleanser, user testimonials gush about how thoroughly and gently this face cloth helps remove makeup with just water. It’s highly durable, as well, as you can simply wash off any gunk the fabric collects before re-using it. Unlike many makeup wipes or towelettes, this towel does not come infused with chemicals which may remain on your skin and settle into your pores, risking damaging your skin. Infused with super moisturizing, skin-repairing and healing oils such as jojoba, almond and sunflower, the core ingredient of this cleanser, coconut milk, makes it a luxuriously creamy product which nourishes your skin as it removes your makeup. Coconut milk is enriched with heaps of skin-loving goodies like proteins and fatty acids, which fight off free radicals to slow and reverse the skin’s aging process and improve its elasticity to leave you looking younger and livelier than ever. It’s also a natural antiseptic, making it the perfect active ingredient in a cleanser for the thorough deep-cleanse needed to remove all your makeup and any other impurities lurking in your pores. Unless you’ve located the mythical fountain of youth, it’s the sad truth that as we age, our skin does too. Add makeup to this equation, and the problem becomes compounded. Whether we’re too lazy to take off all that foundation before going to bed, or because our makeup wipes just weren’t enough to take all of it off, makeup left sitting on your skin can sink into your pores and do your skin all kinds of damage – including making it age faster. For skin showing sensitivity or signs of age it’s all the more important to pick options which do not exacerbate the process, and work to reverse it. Makeup removers which leave residue on your skin, or contain drying or harsh chemicals like alcohol do more harm than good. Even the ever-reliable makeup wipes can be problematic, since we end up putting strain on our skin when trying to scrub cosmetics off. It’s highly important, therefore, to pick skin-loving makeup removers which are as gentle as they are effective. Options which are enriched with natural ingredients rich in free radical fighting antioxidants and natural lightening and brightening properties like Vitamin C, green tea and coconut milk are great options. Pick cleansers which also have natural-oil balancing ingredients, like aloe vera, and hydrate your skin while disinfecting any impurities in your pores without needing to be worked in in a way that damages its resilience.